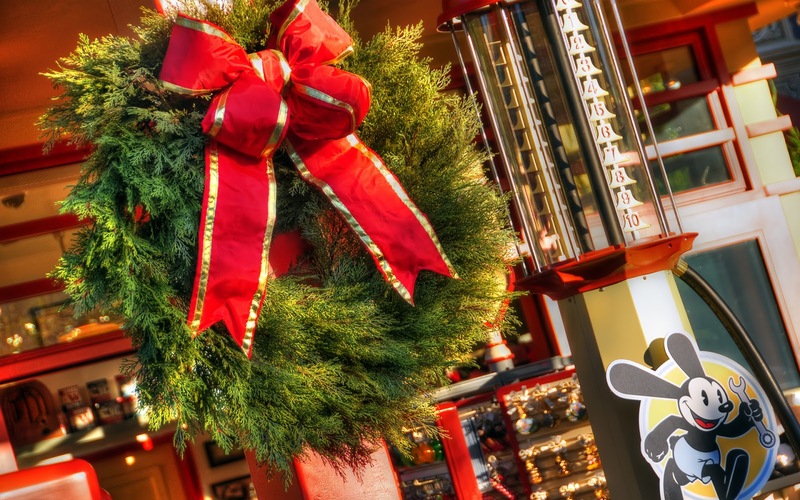 The spirit of the season has decked Buena Vista Street, and Oswald's Filling Station is no different. This cheery facade has taken on the happiness of Christmas and presented a warm, inviting face to all guests. And in the afternoon glow, it really captures the holiday joy. A beautiful wreath adorns a post at Oswald's Filling Station.